*For added sweetness, include more lemon and apple to this beetroot juice recipe. 1.) 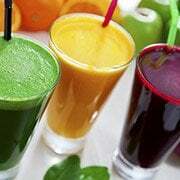 Add the apple, lemon, and celery to a juicer. 2.) Cut the beet into manageable pieces and then add it to your juicer. Note that because of a beet’s thickness, it’s best to juice last so that you don’t need to clean the pulp out of your juicer until you’re done. *For extra greens, add spinach. 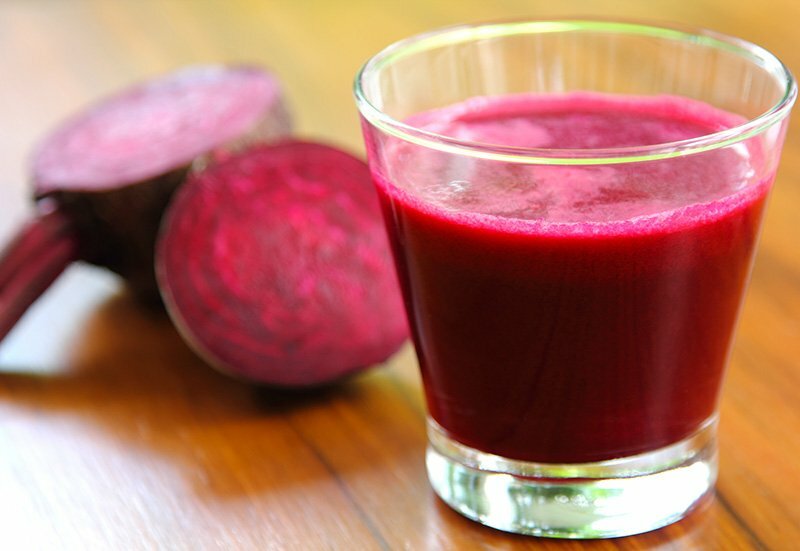 In preliminary research, beetroot juice reduced blood pressure in hypertensive animals and so may have an effect on mechanisms of cardiovascular disease. Tentative evidence has found that dietary nitrate supplementation such as from beets and other vegetables results in a small to moderate improvement in endurance exercise performance. Beets contain betaines which may function to reduce the concentration of homocysteine, a homolog of the naturally occurring amino acid cysteine. High circulating levels of homocysteine may be harmful to blood vessels and thus contribute to the development of cardiovascular disease. This hypothesis is controversial as it has not yet been established whether homocysteine itself is harmful or is just an indicator of increased risk for cardiovascular disease. Beetroots are particularly rich in the B vitamin folate, which is essential for normal tissue growth and protection against birth defects. Eating folate-rich foods is especially important during pregnancy since without adequate folate, the infant’s spinal column does not develop properly, a condition called neural tube defect. If you start to see red when you increase your consumption of beets, don’t be alarmed. You’re just experiencing beeturia, or a red or pink color to your urine or stool. No need to panic; the condition is harmless. Read more beetroot juice recipes here.